Demissie Edema is a well-known coffee grower and supplier from Guji zone for the past 20 years. He has been involved in coffee farming and business ever since he was a child, as his father owned a coffee plantation and he was selling coffee at local markets. This vast experience enables him to understand and control the quality of coffee starting from the farm. His company gives emphasis to the principles of speciality coffee “micro climate and single estate”. The Hambela farm is located in the Wamena Woreda are of Guzi Zone. This is the place where the top quality Ethiopian coffee is currently found as it is characterised by high quality fertile soil and good vegetation cover (shade trees). Guji is one of the zones of the Oromia Region of Ethiopia. Guji is named after a tribe of the Oromo people. Guji is bordered on the south by Borena, on the west by the Southern Nations, Nationalities, and Peoples Region, on the north by the Ganale Dorya River which separates it from Bale and on the east by the Somali Region. The highest point in this zone is Mount Dara Tiniro. The majority of producers are smallholders, which means that each family might only have a few trees, producing 10 to 15 bags of cherries a year. The natural mutation of indigenous varieties of Ethiopian coffee plants and the vast number of smallholders, contribute greatly to the complex aromas and taste of this coffee. La Avandaza farm, owned by Victor Aguilar Cesar Gumercindo which is located in the Junin providence in Peru, is a member of the Central Cafe & Cacao association. The Central Cafe & Cacao association was born on March 14, 2003, thanks to the initiative of small coffee producers, organized in cooperatives, who demand specialized services with the aim to strengthen the coffee and cocoa production systems. The Central Cafe & Cacao has a social base made up of 9,000 small producers organized into thirteen cooperatives, located in the regions of Huanuco, Junin, Ayacucho, Cuzco and Puno. Their mission is to manage projects, develop competitive products and services that contribute to the strengthening of their social base and the value chain of Peruvian coffee and cocoa, promoting social development with a cooperative approach and conservation of the environment. Salvador Gross runs his farm along with his son and grandson. They manage the farm protecting the environment and communities around. San Jose Farm was abandoned when Don Salvador bought it, and he started re-planting the whole farm. That's the reason why most of the trees are young and healthy. Taking care of wildlife is very important to Don Salvador, therefore all the agronomic products used at the farm do not harm wildlife such as rabbits, deers, and birds. Hunting is prohibited at the farm. Don Salvador is committed to sustain high quality in his farms as well as in the community surrounding. Finca Alta Vista is located in one of the most remote areas in Huehuetenango. The Lopez family have been growing coffee in this area for approximately 38 years. Back when they started cultivating coffee, there were no roads around this region and they had to transport the coffee on horses and mules for 3 days to get it to the nearest town and sell it. With the passage of time, it became a passion for the new generation. In the 1990’s Huehuetenango started to become a region of interest to specialty coffee buyers for the high acidity and complex cup profile. In 1999, Finca Alta Vista won a price for their quality. It was this event that motivated them to strive for better agricultural practices and wet milling techniques. To this day, they continue to be pioneers in the region, known for taking extra care both in the fields and post harvest processing. They have also been experimenting with semi-washed, honey and natural processes. Stardust blend is an Arabica coffee blend made up of specialty coffee beans from Kayanza Burundi, Maasai Kenya and Tarrazu Costa Rica with a soft and full body. Our stardust blend will make the perfect festive gift for all of you who share the love for unique coffee aromas and flavours. This lot comes to us from producer Salomon Estela of Nuevo Trujilo Peru. His Farm Finca El Pino is a 2 hectar parcel of which 100% is plated with Tipica, Cattura, Mondo Novo and Catimor along with vegetables wheat and fruit trees. Salomon first acquired this farm in 2012 and focusing on productive sustainability to allow for long time support for his family. This specific lot was harvested at peak ripeness, depulped fermented on average for 14-20 hours, then moved to the parabolic dryer for an average period of 5-9 days. The Central Valley, or “Valle Central” in Spanish, is a plateau in central Costa Rica. The land in the valley is surrounded by several mountains and volcanoes of the Central Range. The region is home to almost three-quarters of Costa Rica’s population and includes the capital and most populous city, San José. The land in the Central Valley is distributed between the provinces of Alajuela, Heredia, San José and Cartago. The region occupies an area of 11,366 km², more than a fifth of the country, and is drained by the Tárcoles River. Farms in Central Valley are comparatively accessible but recognized for growing and processing Arabica coffees with the bright acidity and complex fruits Costa Rican coffee is known for. Brazil Ametista took its name from Greek mythology, according to which Amethyst, used to be a beautiful nymph under Artemis’s. Dionysus turned her into a gem and seeking attonement, gave the stone a purple shade, his favourite colour, and the power to protect its carriers from poisoning. For centuries it was considered a remedy for drunkenness, courage and inner peace. Ametista is an excellent coffee, with mild fragrance, excellent aroma, full body and pleasant sweetness. The preparation is pulped natural. The coffee cherry skin is removed and sun-dried on a raised drying bed with the flesh still attached to the skin. Kenya has a unique way of preparing its green coffee. It has in fact inherited one of the most efficient preparation methods from the British (in terms of cup quality). This process, known as "Kenyan washing" or "double washing", is considered a national expertise. The preparation method, combined with specific varieties (SL28, SL34, Batian, Ruiru 11) developed for their ability to adapt to the local terroir, has positioned Kenya among the world's most prestigious specialty coffee locations. It has been producing coffees of a brilliant acidity for many years now. Burundi is a small country located among Rwanda, the DRC and Tanzania. The country produces mainly Arabica coffee, more often than not from "bourbon" variety, prepared using a washing process. Coffee is grown at high altitudes between 1800m to 2100m on average and is often characterized by a bright acidity and pleasant notes of citrus, which is particularly the case in the coffees grown in the Kayanza region. Set up in the 1920s by Belgians, production increased during the 1930s with the implementation of a coffee programme based on training agronomists and the younger population. The Spooktcular blend is an Arabica coffee blend made up of specialty coffee beans from Kayanza, Burundi and Mafinga Hills, Zambia. It's a limited edition coffee blend that will be available only during this Halloween season. Omer’s family has been in the coffee business for over 30 years mainly as exporters. They finally decided to become growers so they began a search to find a beautiful farm where they could not only be growers but give back to the community. Omer, his son and daughter found a place called Gera, 64 kilometers from Jimma. They fell in love with the place as soon as they saw it and knew this is it. They fell in love with the community and the community fell in love with them. They have been helping the community by building schools and providing facilities that include housing, electricity, food and shelter for their workers. 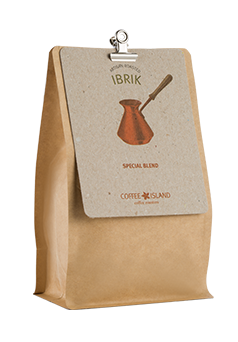 Red Bourbon varietal originated on the Island of Bourbon (now known as Reunion Island) and is mutation of early Arabica species from Ethiopia. Its leaves are broad and cherries can ripen red, yellow or orange. We The coffee is processed in the Gihombo wet mill washing station. Gihombo wet mill is located near the shores of Lake Kivu in the northern part of the Nyamasheke district, the station's cherry collection area ranges in altitude from 1.600 to 2.000 masl. All coffee is processed using a 800 kg/hr Penagos eco¬pulper, dry fermented for 12 hours, and then dried on raised beds for 15 to 22 days. Yirgacheffe region is well known for its unique flavor profiles and so Koke follows the rule. Koke is a small washing station, owned by Koke Cooperative and it is located in the Yirgacheffe Woreda. Koke cooperative currently has 2000 small holder members growing indigenous heirloom coffees. This coffee is picked highly selectively; only coffee cherries that present a bright red, crimson colour will be picked for harvesting into Koke. The combination of traditional heirloom coffee varietals, careful drying, and rich terroir produces a coffee that is sweet, clean, floral, and delivers the flavor profile that coffees from that area are known for. It is amazing that almost 1/3 of the famous named Yirgacheffe coffee is produced in this specific area. The Caturra variety has been planted in the Inga territory at an average of 2150 meters above sea level. This elevation, combined with the Galeras Volcano constantly shedding nutrient-rich ash, makes for an exceptionally complex and sweet coffee. Dried Apricot, light cinnamon, citrus, caramel, clean and lingering aftertaste. The Blue Mountain varietal, a strain of Typica, derives its name from the Blue Mountains region of Jamaica where it was first cultivated. Today, it can also be found in Kenya, the Congo, Hawaii, Haiti, Papua New Guinea, and Cameroon. The varietal grows at high altitudes, over 1,400 metres above sea level, but is best suited to specific environments. As of such, each region lends the coffee distinctive characteristics. Jasmine, mango, chocolate, caramel, red fruits aftertaste. Catuai is a high-yield hybrid, the result of a cross of Mundo Novo and Caturra. It was developed in Brazil and it common across Central America. This varietal is robust, meaning it can be grown in areas with strong wind and heavy rain. The tree is relatively low in height, with lateral branches that protect the flowers and lead to greater production levels. It produces either red or yellow cherries. Mandarin, melon, sugar browning and clean aftertaste. Ethiosar is a natural hybrid, a cross of the Ethiopian varietal Rume Sudan and Sarchimore. Sarchimore, in turn, is a cross of Villasarchi and Timore varieties. Timore is known for its robustness and resistance to disease. The crossing of these varietals, all of which are characterized by a high yield, results in a unique flavour. 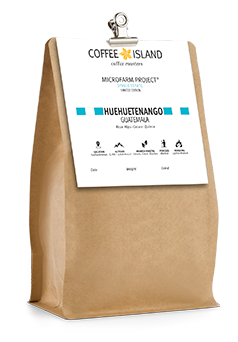 Apricot, caramel and flower aromas, high sweetness and strong, fruity acidity, rich creamy body and fruity aftertaste with hints of toffee. 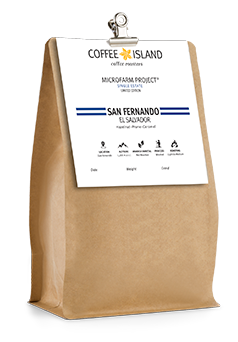 The new Coffee Island MicroFarm Project, "Pacamara" is a hybrid Arabica Coffee. It is the result that comes from combining the Maragogype and Pacas variety, a mixture that took almost 30 years of careful scientific research to perfect, so it could be given to producers in the end of the 1980s. It got its name from combining the names of the two varieties. As it originates from the variety of tall high yielding Maragogype Coffee trees and a variety made up of the small and strong Pacas coffee trees, the result is a medium sized plant with rich foliage. Aromas of cinnamon and roses, flavor of red cherries and almond, with oily rich body and nutty aftertaste. Fazenda Santa Feliciana, owned by Saldanha Family, is located in the Brazilian region of Norte Pioneiro do Parana. The coexistence of volcanic soils of high fertility & the good distribution of rainfall throughout the year turn Santa Feliciana into an extraordinary environment for the development of the highest quality Arabica coffee lots. As Four Seasons Project Member, in Fazenda Santa Feliciana sustainable practices are primarily addressed in coffee as well as harvest and post-harvesting topics to help its members produce better lots along the years. Aroma of caramel, nuts and milk chocolate, sweet discreet acidity of fruits, full oily body and sweet toasty aftertaste that lasts. Brazil Ametista took its name from Greek mythology, according to which Amethyst, used to be a beautiful nymph under Diana’s. Bracco, turned her into a gem and seeking attonement, gave the stone a purple shade, his favourite colour, and the power to protect its carriers from poisoning. For centuries it was considered a remedy for drunkenness, courage and inner peace. Ametista is an excellent coffee, with mild fragrance, excellent aroma, full body and pleasant sweetness. The preparation is pulped natural. The coffee cherry skin is removed and sun dried on a raised drying bed with the flesh still attached to the skin. Kochere is a small area within Gedeo Zone in Ethiopia, recognized as one of the best origins for fully washed southern Ethiopian coffee. Here local farmers can bring their coffee harvest for processing in the Biru Bekele washing station. There are around 100 washing stations, where each mills produce average 10 containers in annual basis. The farms themselves are in general very small, while the annual average production is approximately 900 kg per farmer. Aroma of milk chocolate, red grapes and cedar, winey acidity flavour,silky and well-structured body, long and bright refreshing aftertaste. The coffee growing in the Guji area, within the greater Oromia region of Ethiopia Guji is located about 65km South of Yirgacheffe and 300km north of Kenya. It is produces very distinctive coffee and is what separates the Guji Specialty grade coffee from the rest of Sidama coffees. Aroma of caramelized nuts, apricot and dried vanilla, pleasant sweet acidity, rich oily body with delicate red cherries sweet aftertaste. El Salvador Vista Hermosa took its name from the farm where is cultivated. It is located in the lake shores of Coatepeque Lake with a magnificent view and that’s why this farm is named Vista Hermosa, which means beautiful view. It is considered to be the best place to cultivate Pacas variety and that’s why the old Bourbon trees were replaced with Pacas. Aroma of berries, molasses and spices, pleasant sweet acidity, rich silky body with long soft chocolate and caramel aftertaste. Colombia Hulia took its name from the cultivation area, placed at the southern corner of the country. The farms of the Huila Group (620 families) sit at an altitude between 1650 and 1850 meters, with nutrient rich volcanic soil and a biodiverse forest where the conditions are perfect for cultivating high quality coffee. Each farmer cultivates very small area (about half hectare) and between the coffee trees you can find other crops. This is why coffee trees grow shaded. The varieties are Tabi and Cattura. Sign in to see your favourite products. I am a registered user! Create your account to gain access to online ordering and exclusive offers! You have sent you an email with a link to reset your password. Please check your inbox. I want to subscribe to the newsletter. Your password must contain at least 6 characters, from which at least 1 number, 1 lower and 1 upper case letter. Your password must include only latin characters.